Frequently Asked Questions #18 - YeastInfection.Org by Eric Bakker N.D.
1. Why is my stool inconsistent in shape and color all the time? Inconsistency in stool shows the health of the person’s digestive tract. A normal bowel motion is brown in color. If your stool is brown tan in color, about 12 to 18 inches in length, cigar shaped, low in odor, easy to pass, you have good bowel function. This is also a sign of good gut bacteria. People with good bowel movement have a diet high in fiber, a good autonomic nervous system, and are not too much under stress. A healthy person will ideally pass stool twice a day, once in the morning and in the afternoon. To have a good bowel function is a sign of healthy gut health. Before you start freaking out about that green bowel movement you had earlier today, stop right there! Bowel motion and its color can definitely be affected by what you eat. For example, if you had something green earlier in the day (think spinach! ), don’t be alarmed if your poo looks green. Green means leafy green, and it’s your body’s way of processing the food. Medication can also have an effect on what color your poop will look like. However, if you have observed your stool to be different than tan brown every time for a number of days, no matter what you eat, please raise this issue with your doctor. You will have to do a stool test to determine what is causing the stool to look that way. 2. I am constantly suffering from aching muscles. What is the cause of it? Systemic candida can cause muscle ache. When thinking of a yeast infection, most people think about the skin or external body conditions that it causes (vaginal, skin rashes, itchy jock, etc). However, a systemic candida infection wreaks havoc in the inside, starting at the digestive tract. In worst case scenarios, a candida overgrowth can invade the bloodstream and make its way to other parts of the body. A systemic candida condition can cause pain in the form of muscle aches, joint pain, mental illnesses. Many experts don’t link a candida overgrowth with such conditions and may contribute it to other illnesses as a misdiagnosis. Did you recently take a round of antibiotics? Do you consume a diet high in sugar, refined carbs? Do you also experience brain fogginess, anxiety and depression along with muscle ache? All this can direct us to candida. Muscle ache caused by candida occurs due to a heightened toxic state in the body. During a candida overgrowth, there is high levels of stress hormones and acetaldehyde, waste product of yeast, circulating in the body. The presence of high acetaldehyde can cause fatigue and muscle ache. 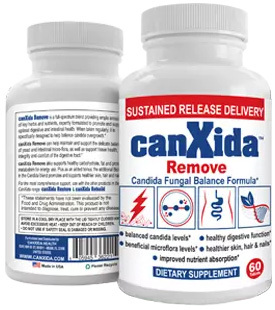 Patients who go on a candida cleanse and who start taking supplements to help get rid of a candida overgrowth notice a great deal of improvement in muscle health. 3. I am constantly feeling anxious. What can I do to avoid taking medication? Research is showing study after study the power of gut health and its effect on our bodies. Much recently, it was also discovered that gut health affects our brain’s health and can regulate our moods. Crazy? Here is how it works: on a regular day, candida’s presence ensures digestion and nutrient absorption. The good bacteria in the gut prevents candida from overgrowing. Most of our hormones are either partially or fully made in the gut. With the disruption in the balance of good gut bacteria, candida overtakes and multiplies. As the yeast starts coating the lining of the intestinal tract, the gut’s ability to produce or secrete serotonin is also suppressed. And as we know, a serotonin deficiency causes mood imbalances. Candida can break through the lining of the stomach into the bloodstream to travel across different parts of the body. The toxins it spills affects other organs in our body, including the brain. This is also known as the leaky gut syndrome. Those who suffer from LGS complain about mood imbalances, including anxiety. All this occurs due to the imbalance of yeast vs bacteria in our gut. If you want to avoid medications and suspect a candida overgrowth in your body, you can get a stool test done. A comprehensive stool test can shed light on your overall gut health. If candida is the problem, you can overcome it by following a strict diet, starting probiotics and avoiding stress as much as you can. 4. Help! I am a woman and I am shedding a lot of hair! The three hormones that play an important role when it comes to the health and maintenance of hair are estrogen, testosterone and progesterone. Any imbalance to one of these hormones can cause hair loss, especially in women. Another hormone that plays a vital role in maintaining healthy hair is the thyroid. An overactive or underactive thyroid can cause a lot of hair loss. Before you start attributing your hair loss to a myriad of external reasons, consider getting your hormone levels checked. You can try doing the DUTCH test, dried urine test comprehensive hormones. The DUTCH test is done on women who are on their period or women who are going through perimenopause or menopause or post menopause. Many times, an imbalance in any of these hormones may also cause anxiety, irritability, memory loss, aging, vaginal dryness, etc along with hair loss. Once the tests confirm an imbalance, you can begin appropriate treatment. To get your thyroid tested, you can check with your doctor to do a blood test. At home, you can check your body basal temperature. If you’re basal temperature is consistently below 36C for many days in a row away after your period, you may be dealing with hypothyroidism. To learn more, watch the following video in which Eric Bakker goes over this topic. To help with hair loss while you seek the root of it, you can start with making lifestyle changes which include clean eating, exercising, stressing less. If there is an underlying medical condition behind your hair loss, you and your doctor can come up with a treatment plan to deal with the root cause which will then help with the hair loss. For hair loss related to fungal infection, you can read our response to a FAQ here. In this video, Eric goes over many other reasons for why you may be experiencing hair loss. Hi- quick question. I take threelac ( I watched your video except I am in favor of it) have for almost 6 years. When I get to my last packet. I start getting a sinus infection like clockwork. I just tried to wean myself off of it and I got terribly sick. I do not take antibiotics (haven’t had to in 6 years because of three lac) due to the yeast infections it causes me. What is going on? Is my body dependent on the three lac? I tried to wean off of it because it’s really expensive and I wanted to see if my body would work without it. Would you recommend and alternative that is cheaper and will keep me healthy? Thank you.